Some things Financial Advisors will be asking FDIC Vice Chair Thomas M. Hoenig (Responsible for supervisory activity of over 5,800 different banking institutions) regarding their practice, the current industry environment and the public at the 2017 UFSC Leadership Summit. What are among the top three smart areas I should be considering with my advisory clients as a Financial Professional? As you look at risk profiles, what are four or five measuring indicators that you use in evaluating risk? How do you see the risk landscape shaping up for 2017 and what could this mean for Financial Institutions? How do the Cyber Security and AML discussions intersect with the FDIC world? 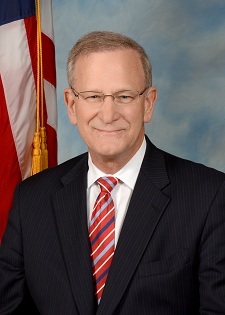 Thomas M. Hoenig was confirmed by the Senate as Vice Chairman of the Federal Deposit Insurance Corporation on Nov. 15, 2012. He joined the FDIC on April 16, 2012, as a member of the FDIC Board of Directors for a six-year term. He also serves as President of the International Association of Deposit Insurers, elected to the position in October 2015. Mr. Hoenig was with the Federal Reserve for 38 years, beginning as an economist and then as a senior officer in banking supervision during the U.S. banking crisis of the 1980s. In 1986, he led the Kansas City Federal Reserve Bank’s Division of Bank Supervision and Structure, directing the oversight of more than 1,000 banks and bank holding companies with assets ranging from less than $100 million to $20 billion. He became President of the Kansas City Federal Reserve Bank on October 1, 1991.